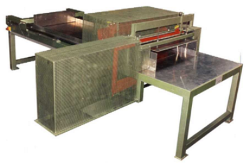 Used for the automatically processing of foam-plates to foam-stripes and / or of foam-stripes to pieces. The width of stripes and the length of pieces is steplessly adjustable. 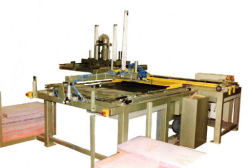 Used for cutting of square foam cuts into wedges. The angle is adjustable. 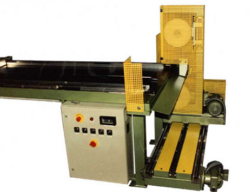 Used for cutting of foam material for flower boxes and similar. 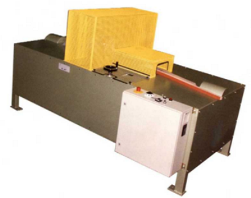 Used for cutting required angle at ceramic filters. 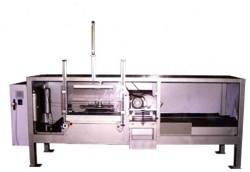 Machine cuts plates longitudinally and radially. You get cubes or ashlars.